Food has always played a central role in my family, and ice cream in particular. 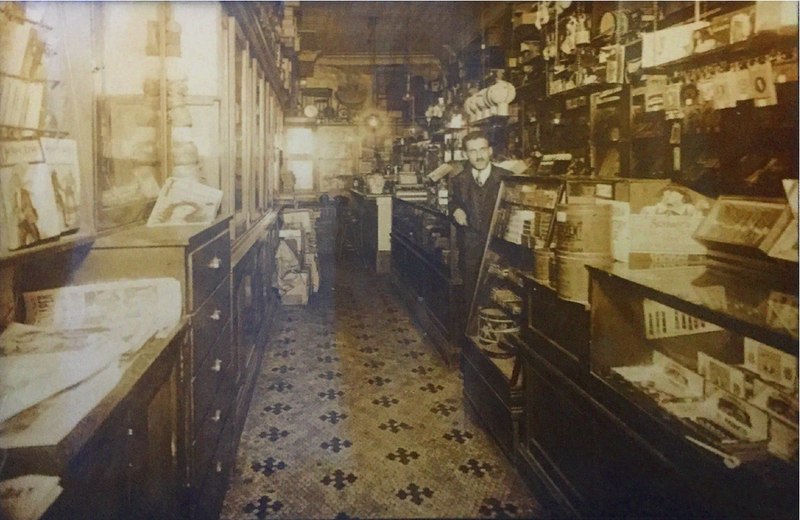 It started back with my great-grandfather, who ran a soda fountain in Hell’s Kitchen in NYC. My great-grandmother and my grandfather both loved ice cream and ate it nearly every night their whole lives, like clockwork. My mom was in the first graduating class of women from the Culinary Institute of America in Hyde Park. She trained as a pastry chef but later realized her dream of opening a homemade ice cream store in Chapel Hill, NC. I grew up working in that store alongside my sister Leah, developing our own deep love of great quality ice cream. Later, inspired by books such as In Defense of Food by Michael Pollan, I began to consider the impact of what I was eating beyond taste alone – what was it doing to my body, to our planet, to our society? I started shifting toward a minimally-processed, plant-based diet. But I had a problem. Back in 2010, I couldn’t find any really good dairy-free ice cream in the stores; everything I tasted ranged from terrible to tolerable. So I started tinkering around in my kitchen. What began as a quest to solve a personal need quickly morphed into obsession, and as I realized how much better my recipe was than anything else out there, into the concept of Revolution Gelato. I knew that there would be many other people who would benefit from this kind of product. And they wouldn’t have it if I didn’t do something – finally, here was a way I was uniquely able to contribute and make a positive difference. After years of development and plenty of setbacks, we now have our gelato in regular production and out on the market, where it’s winning hearts, stomachs, and awards. Grab a spoon and join the plant-based revolution!